The Japanese Pattern Challenge: Time to Spring Forward! 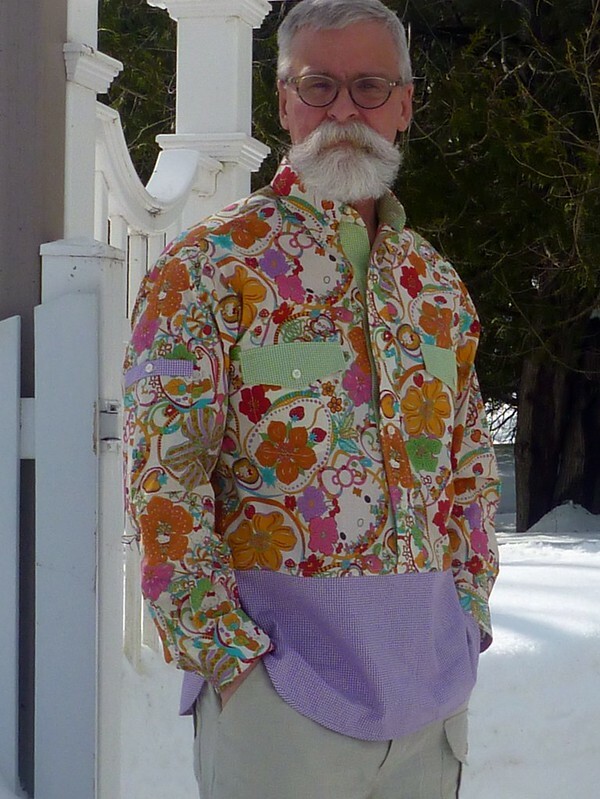 I'm ready to turn the clock ahead wearing my new Hello Kitty shirt. Ignore all that snow in the background! Spring is right around the corner, and it really felt like it today. Recap: Liberty of London tana lawn and coordinating gingham, in a hack of my TNT buttondown shirt pattern. 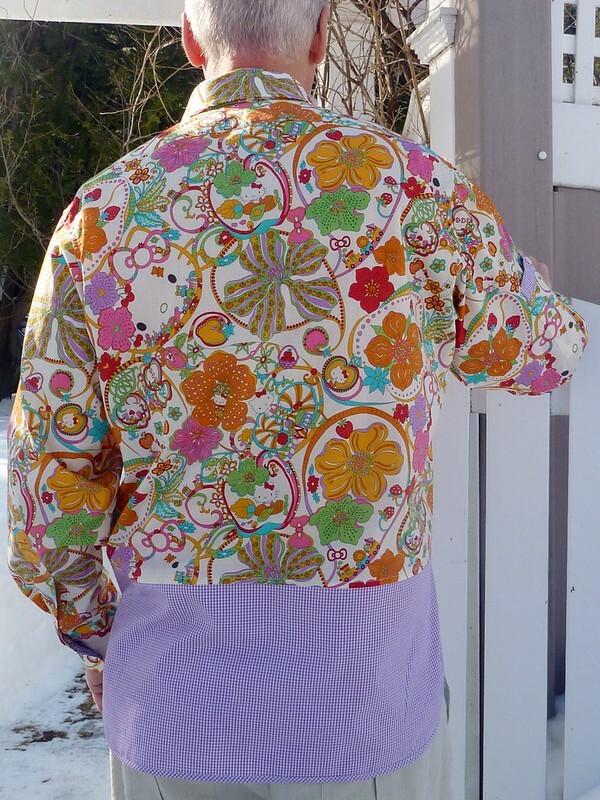 The Liberty fabric was a gift from a reader. I truly hope that I did it justice for her. Personally, I feel like I'm putting on a party when I slip it over my head! What fun! Sleeves rolled up to reveal the contrasting inner cuffs. A little button detail at the bias trimmed shirt tails. I don't know about you, but I'm on a spring sewing roll. 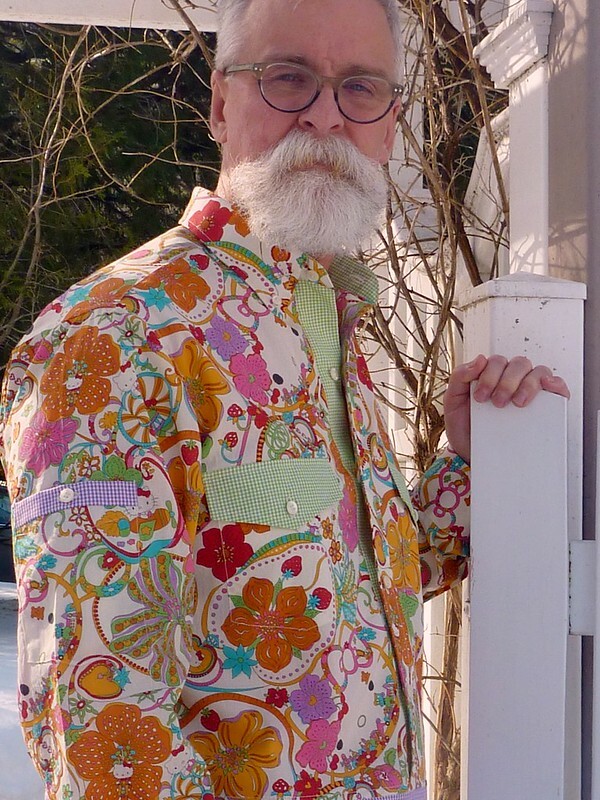 My next project is going to be a Junya Watanabe inspired spring jacket. I love all the details of these jackets from past seasons, and I've collected a variety of fabrics to make my own mash up of this look. This promises to be a lot of fun; and as I promised myself, it involves RED and RIVETS (do you hear me Enrique???). As always, I thank you for all the encouragement I receive here, and I wish you all happy sewing adventures! 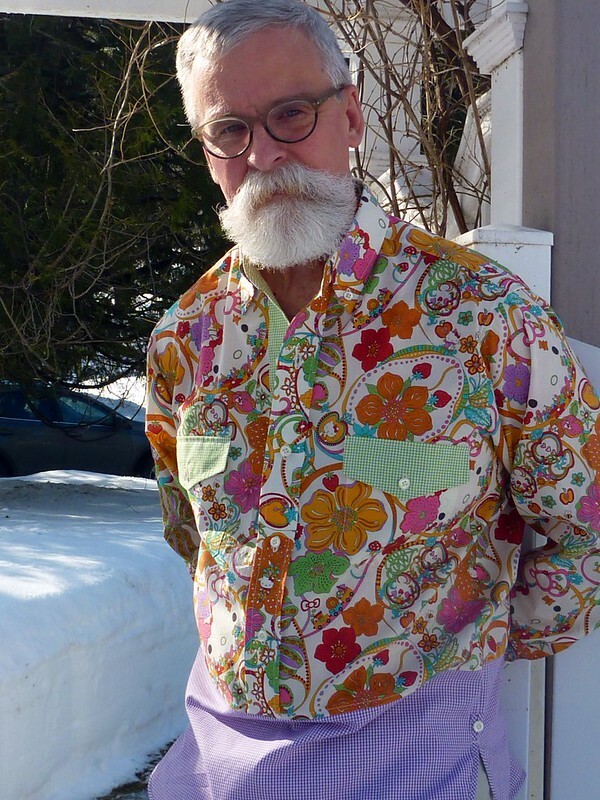 I love this shirt - so cheerful! Love the sleeve pockets and the bright colors! Love this! Definitely like a party! Well done! fun fun fun shirt. I like that button detail at side hem. SO in love with this shirt. 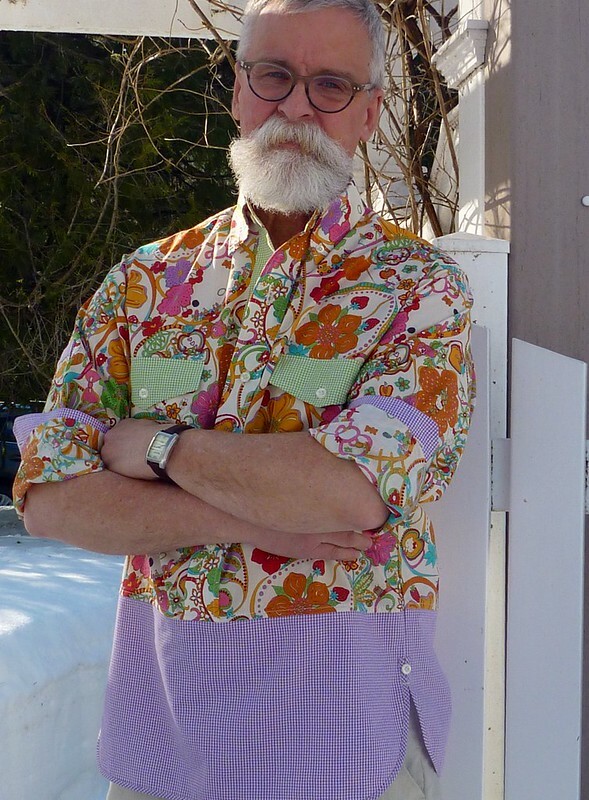 Eat your heart out, Robert Graham! I just cut Hello Kitty fabric to make a shirt and I hope mine is as much fun as yours. I hear youuuuu!!!!! I just sent you an email amigo!!! The post is up an running!!!! Rivets tutorial!!! So great! Brought a smile to my face seeing it. love it! Can't wait to see your spring jacket. Yes you did that fabric justice!!! Ever sooooo cute. I love your shirt! It looks very well made and I am glad that you are sharing your work! Wow this looks great. And not too cutesy. Yikes if that was my spring I'd still be in thermals!